Cropwell Bishop Stilton cheese is a Blue Stilton steeped in tradition and family history. The Cropwell Bishop creamery, has been part of the current owners families since 1949, when the creamery was purchased by their great, great uncles London based business, which started in 1847. So with a long family heritage of cheese making it’s no surprise that the Cropwell Bishop Stilton is a dearly loved and protected cheese. Covered by the Protection of Designated Origin Status, this Stilton is recognised as the real deal around the world and due to it’s careful, traditional hand made recipes and practices, Cropwell Bishop cheeses have won award after award. Most recently the Super Gold for the single Stilton cut mature category at the World Cheese awards 2013. The cheese has such reputation, that it would be easy to get carried away with the success of their Stilton yet because of the family ties the Cropwell Bishop team are completely grounded by their own uniting visions and values for the company, their product and their reputation. The business revolves around a focus on respecting and supporting not only the local community and their farmers who supply the cows milk, but also the environment they are in, choosing to only use sustainably sourced milk, and striving to minimise their impact on the environment in every way possible – whilst aiming for exceptional quality and service and to be at the forefront of the industry. The Cropwell Bishop Stilton is created using vegetarian rennet, meaning both this traditional blue and it’s organic blue counterpart are both suitable for vegetarians, and 78 litres of fresh, local milk. The cheese is usually rubbed with salt mid-process and normally aged for 12 weeks to mature. 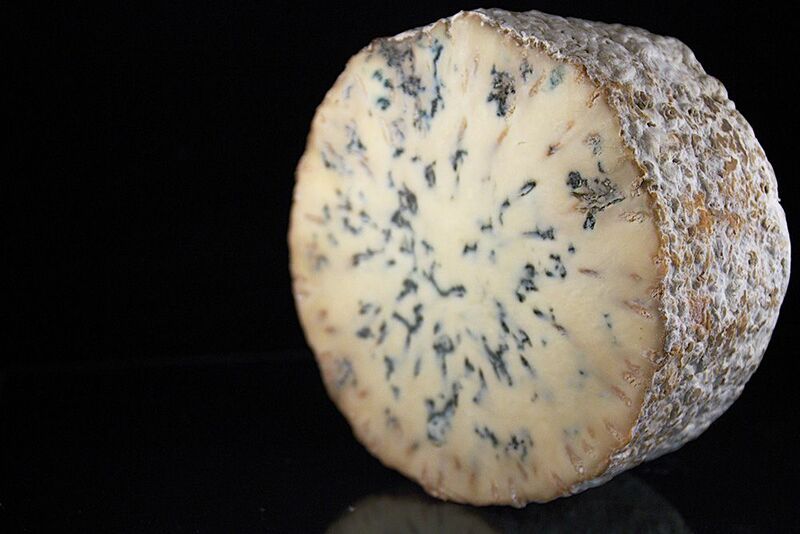 Cropwell Bishop Stilton cheese is a rich and tangy Stilton, yet with a unique flavour cultivated by the blue mould spores added to the milk, along with the starter cultures and rennet in the first stage of production. The final product offers a melt in the mouth, velvety soft texture. Stilton is always a great inclusion on any cheeseboard and tasty in it’s own right, but this Stilton works fantastically not just with a regular cracker or biscuit. Great combinations are fresh, crusty bread, with any sweet chutney or jam. Accompanying beverages that have a sweetness to them work brilliantly with the unique Stilton flavour, such as pudding wines, clarets and port. Cropwell Bishop Stilton also works surprisingly well with honey, pears and walnuts, and can even be used in cooking for savoury dishes such as Bacon and Stilton Pasta Sauce. The possibilities are endless and completely down to personal preference!